This issue's cover illustration is from Lian Hearn's Across the Nightingale Floor which is discussed by Clive Barnes. Thanks to Pan Macmillan for their help with this November cover. Of late there has been a healthy proliferation of exhibitions to do with children's books: visages of creative talents at the National Portrait Gallery; illustration as Art at the Laing Gallery, Newcastle upon Tyne; a wide-ranging display at the National Library of Scotland; Shirley Hughes at the Ashmolean... You don't need a philosopher's stone or an amber spyglass to guess why this should be, and the phenomenon is especially welcome in so far as it may lead Joe Public towards a greater awareness of the rich variety of the genre. Where the exhibitions possess a raison d'e?tre, it is also well that they be given published catalogues which explain the same and serve as a permanent record of the passing show. This is not always easy to do (I speak from long experience) since Joe Public is often deemed by nervous institutions to be uninterested in the aesthetic, technical and commercial fundamentals that determine each generation's children's books, and the two handbooks - not exactly catalogues - under review here certainly don't go far towards delving into the implications of their subjects. Beatrix Potter to Harry Potter displays what was of central importance in the NPG's exhibition: photographs, portraits, caricatures of the fifty-six authors selected by Michele Brown and Gyles Brandreth 'inspired by their own childhood favourites' (difficult thus to see how a clutch of chaps from Jacqui Wilson to Benjamin Zephaniah have found their way in). The pictures are, without exception, stunning - although Mike Rosen may disagree - but the selectors have delegated the job of writing about them to Julia Eccleshare, whose very brief brief seems to have been to supply potted biographics and obiter dicta on books of consequence. Thus she has with grace, lucidity and much over-generalisation, but such synopses relate only tenuously to any reading you care to make of the faces that loom at you from the opposite pages. 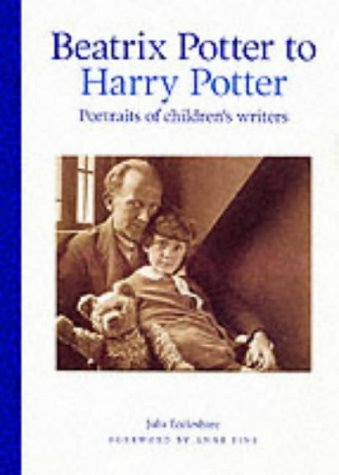 Look at our Enid, typewriter typically on her knee, grinning (at Mr Pinkwhistle perhaps) across a sunlit garden; or the Pullein Thompsons, crowded beneath a black umbrella; or Leon Garfield, his own anti-villain, revolving dark plots in the shadows. 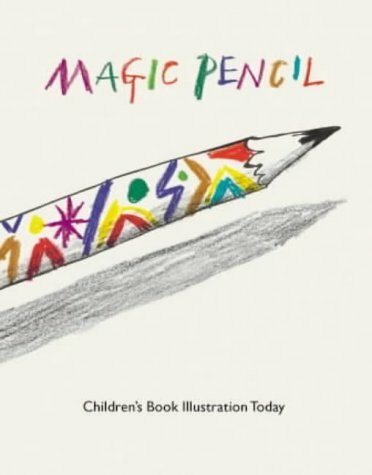 Magic Pencil similarly resists the opportunity to explore 'the complex twist of strands' which Quentin Blake describes in his Introduction as being unavoidable for the born illustrator. His words raise hopes, but these are not fulfilled by his colleagues. Joanna Carey offers a neat but superficial history of illustration with some breatheless notes on the thirteen artists whose work is on view in the exhibition. These persons are then allowed a page to talk about their life and work with some random, unannotated samples of their illustrations to follow. Of raison d'e?tre there is nowt.